The next major release of the Ettus Research Live SDR Environment, version 4.0, is scheduled for June 2016. The Live SDR Environment is a bootable ISO image file that can be put onto a USB flash drive or a DVD, and runs directly from the USB or DVD, without having to install anything, and without modifying the local disk of the system. It contains a number of pre-installed applications as well as up-to-date versions of GNU Radio and UHD enabling support for the latest USRP SDR models. It is free and uses entirely open-source software, and is based on Linux Ubuntu 14.04. The current version of the Ettus Research Live SDR Environment, version 3.0, contains older versions of UHD and GNU Radio, and does not support several recently released USRP SDR devices. Therefore, we recommend using the GNU Radio Live SDR Environment, which is maintained by the GNU Radio project. It is similarly configured to the Ettus Research Live SDR Environment and contains current versions of UHD and GNU Radio, but it is less USRP focused. Both Live SDR Environments may be put onto any standard DVD, or onto a USB 3.0 flash drive with at least 16 GB capacity. 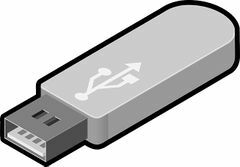 A USB 2.0 drive may also be used, but the system will take longer to boot, load and run programs, and respond to user interaction. This page was last modified on 21 June 2016, at 11:26.